Every hour someone is diagnosed with Parkinson’s disease. In the UK alone one in five hundred people are living with this condition which causes progressive physical and neurological symptoms. 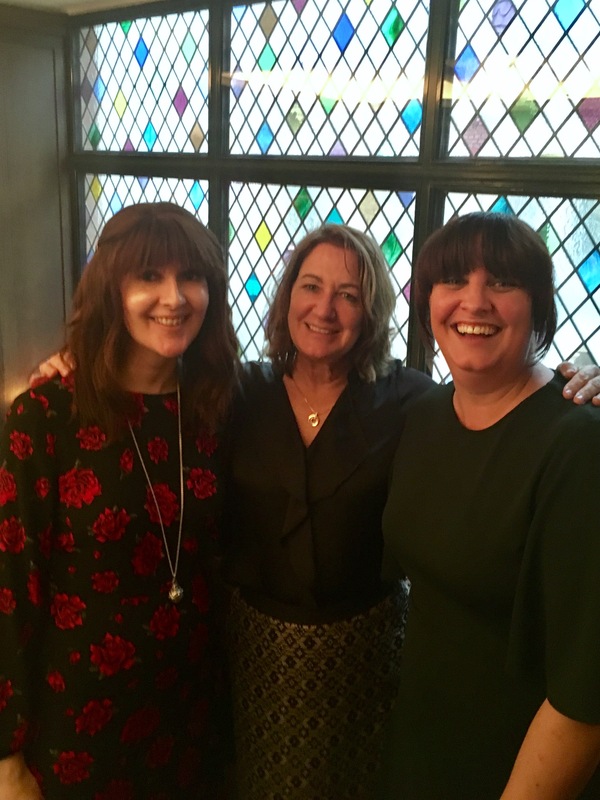 Yesterday was the publication day for my fourth psychological thriller, The Date, and rather than have a typical launch, celebrating with family and friends, my sister Karen and I headed to London on a mission to raise money for our local branch of Parkinson’s. 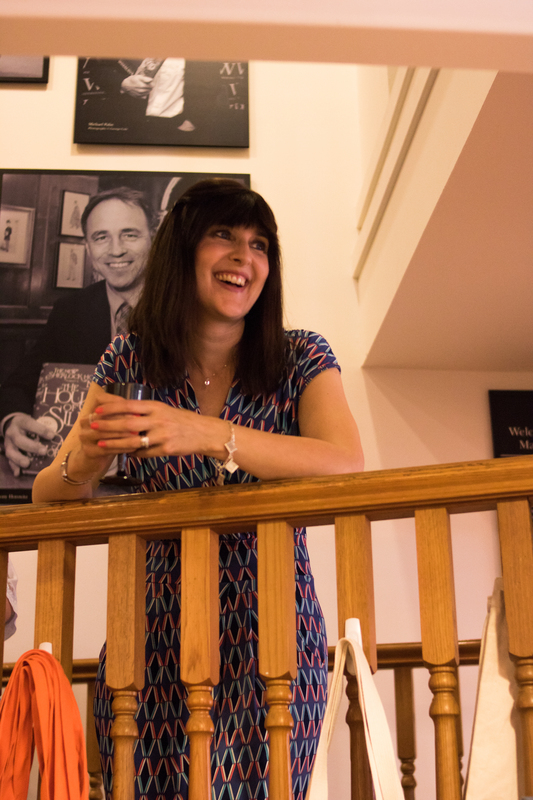 Laura Devine Solicitors hosted the event which they meticulously planned. Thanks to the gorgeous weather we were able to drift out onto the roof terrace while caterers plied guests with champagne and canapés. Listening to Karen make a candid, heartfelt speech about the affect Parkinson’s has had on our family, her more than anyone, was one of the proudest moments of my life. I had to swallow the lump that had risen in my throat before I could take part in a Q & A with my agent Rory Scarfe who is also a great supporter of Parkinson’s UK. My publishers, Sphere (Little, Brown) kindly donated paperbacks which were raffled and the total by the time we had to dash for our train was £500. Everyone’s generosity was hugely appreciated and I can’t thank everyone enough who organised such a fabulous event, attended and donated. Parkinson’s UK is part of a global community ensuring the millions of people living with Parkinson’s across the world don’t have to face it alone. You can find out more about the fabulous work they do here. 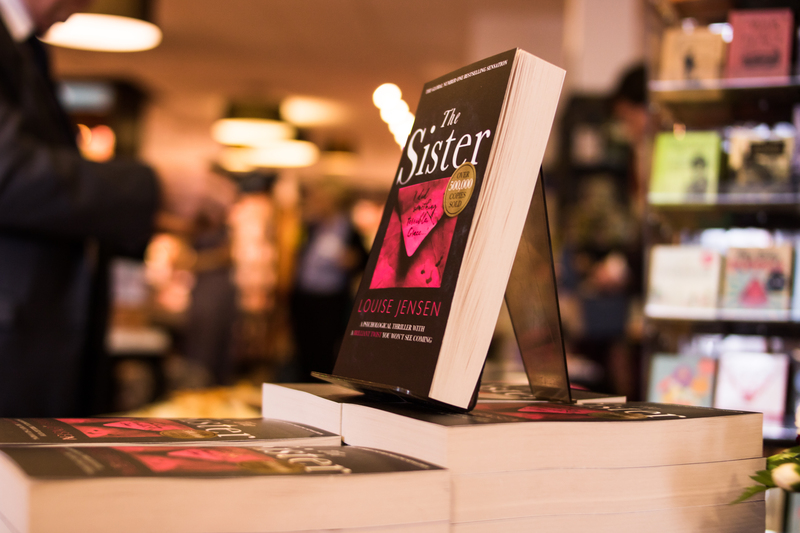 Last week was the Sphere (Little, Brown Book Group) paperback publication day for my debut novel, The Sister. 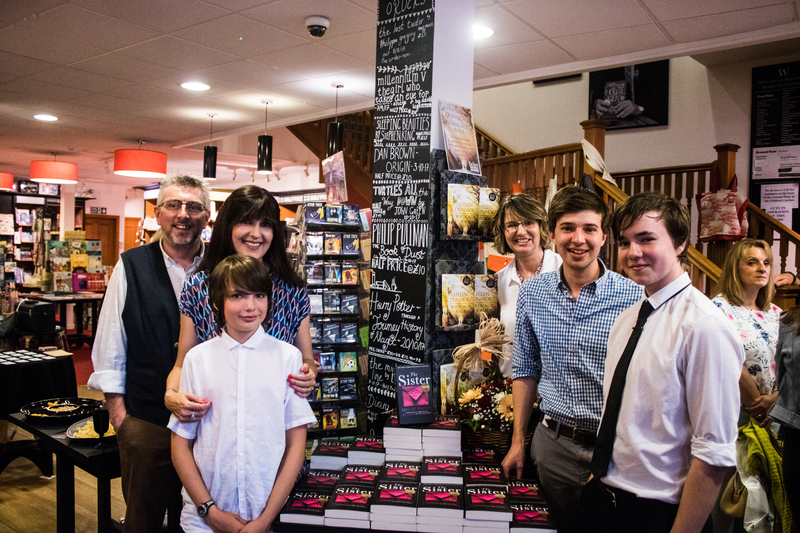 After a busy day including a radio interview (you can listen to that here) it was time to head over to Waterstone’s in Market Harborough for my launch party. We arrived half an hour early with a boot full of booze (there were a lot of writers coming) and as I burst through the doors, carrying far too many snacks (writer’s arse really is a ‘thing’) I skidded to a halt. There in front of me was a table full of books. My books. And inexplicably the excitement I had been feeling turned to blind panic as a hot flush crept through me. This was really happening. 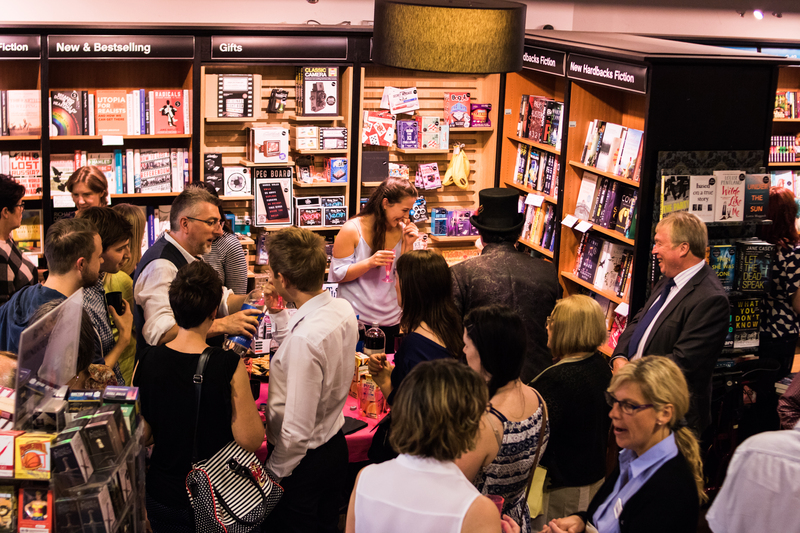 My story was in the shops and soon, my friends and family would arrive, including both my publishers and I’d have to stand up and do a speech. Only then did I remember I have a fear of public speaking. No pressure. Instantly my legs felt like jelly and I had to sit down while my husband and sons set up the refreshments. So much for revelling in my big moment. 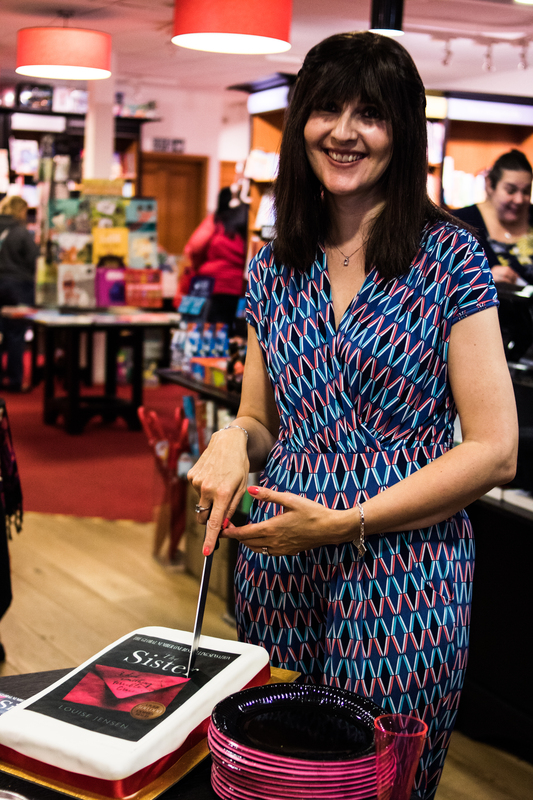 The manager of the store, Tash, took one look at me and held my hand as she kindly (lied) told me that often writers get overwhelmed when they see their books for the first time and reassured me it would all be ok and my speech would be fabulous. Those few kind words (lies) made a huge difference and I was so grateful for her reassuring presence throughout the evening. First to arrive was The Great Adamos. I ADORE magic and I wanted to indulge myself with my favourite things (cake, wine, books, magic and the people I love). Adam was a great icebreaker and enthralled my guests as they trickled in while I mingled/tried not to fall apart. 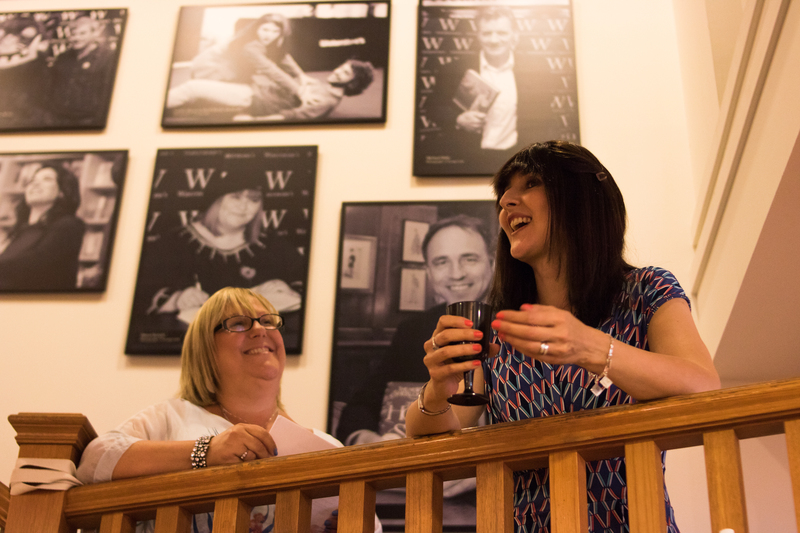 It was only when we’d finished our chat and I rejoined my guests with a rush of relief, I realised I hadn’t thanked my family for their support and this was my only regret of the night – I LOVE YOU GUYS. 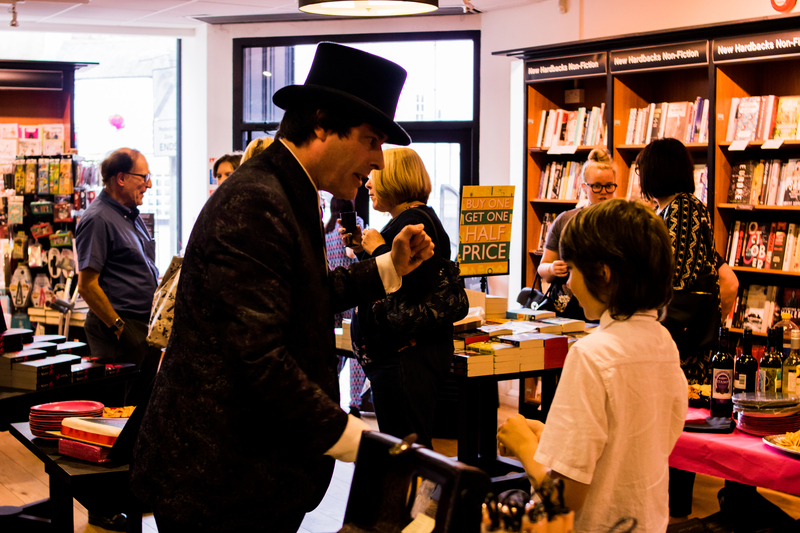 The evening flew past quickly after that, chatting to old and new friends, signing books and eating cake. 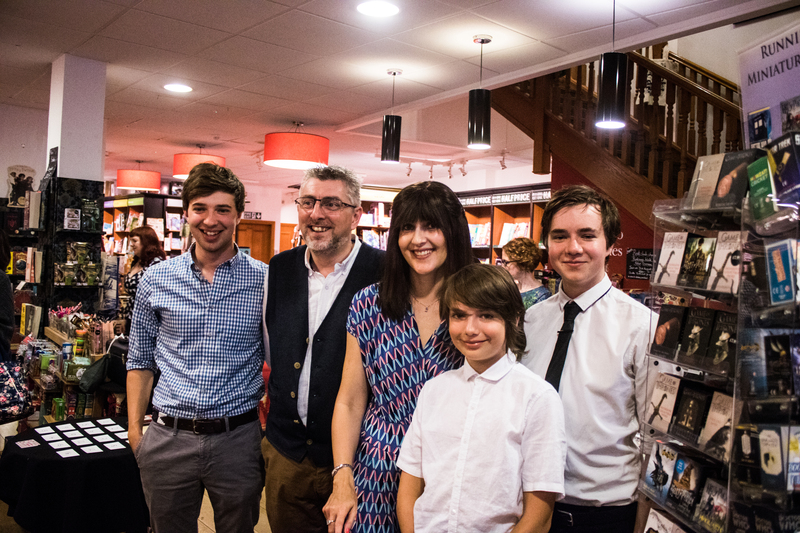 So many friends and family turned up to support me, some coming from a great distance, and throughout the evening I felt proud, excited, grateful, but most of all I felt love. I had the pleasure of first meeting the lovely B.A. Paris at an author event last year. 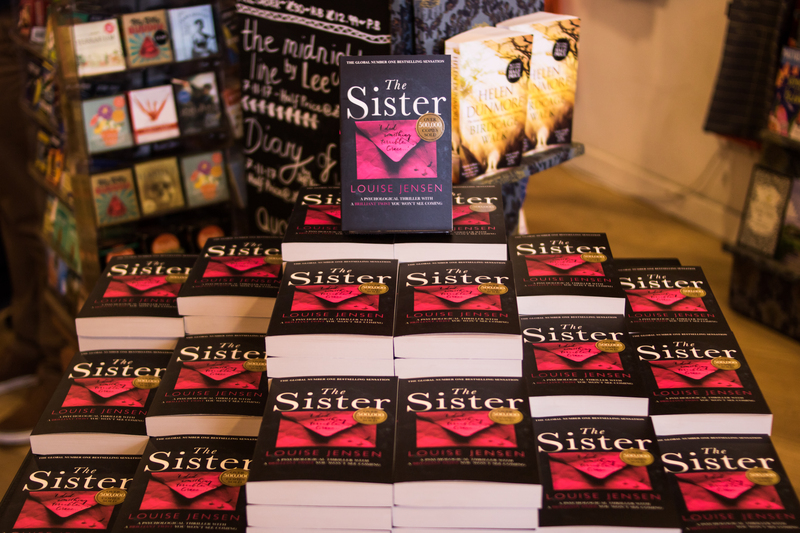 At that time I had just released my debut, The Sister, while hers, Behind Closed Doors had been out for several months. 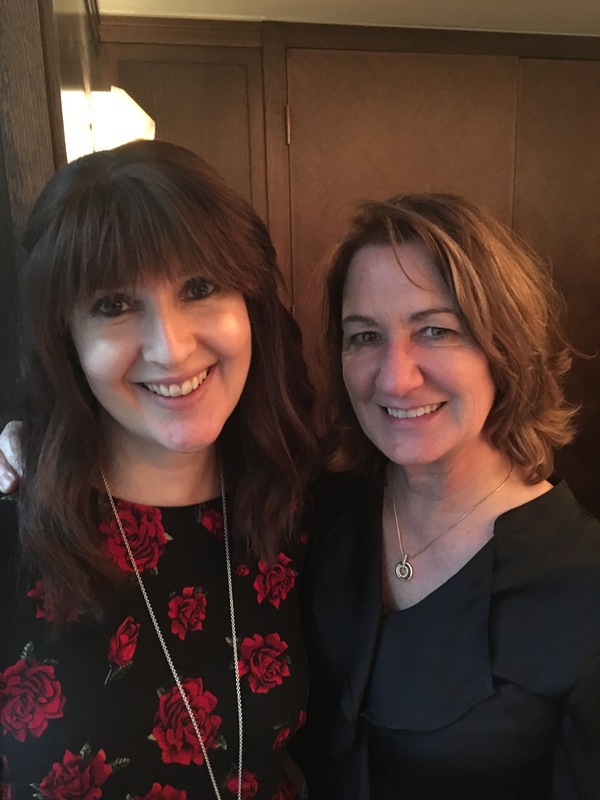 We bonded over our shared experience, our genuine bewilderment of both finally being published later in life and having No.1 Bestsellers and have championed each other throughout the process of writing our second tricky novels. 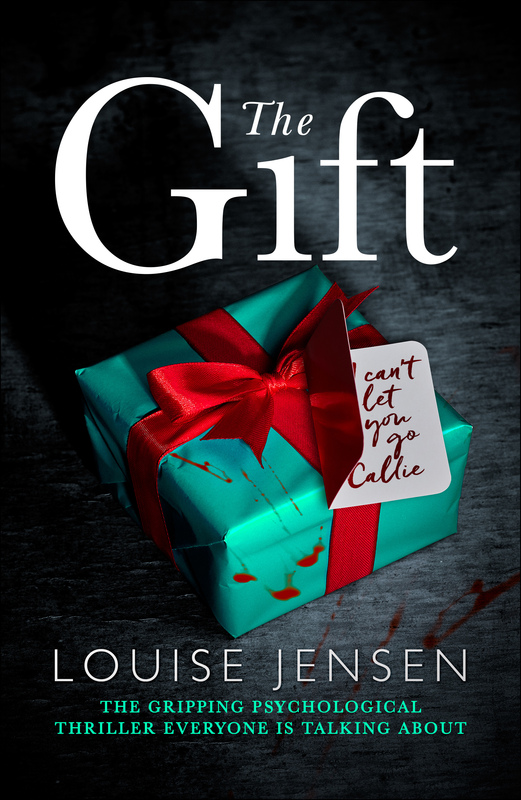 She was thrilled for me when I published The Gift before Christmas and it shot to No. 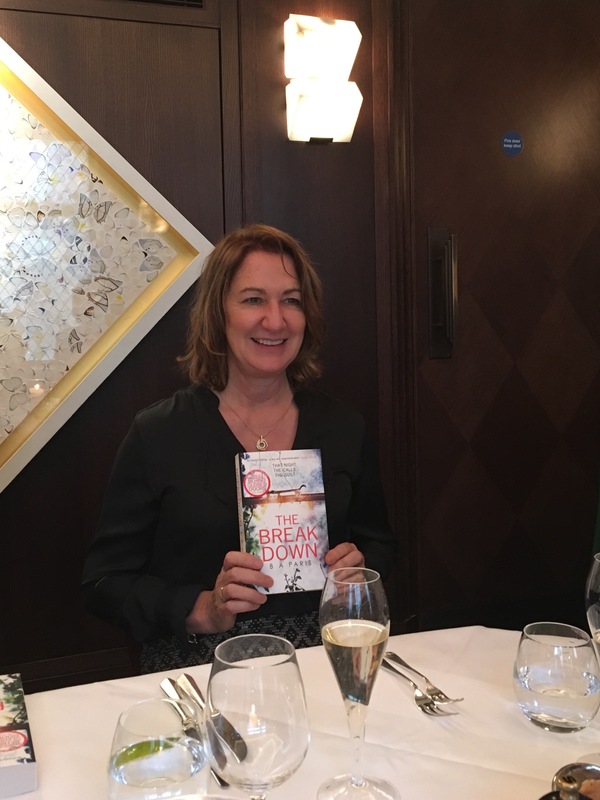 1 and I was delighted to be able to join her at The Ivy Club yesterday to toast the launch of her second novel, The Breakdown, which is already soaring up the charts. 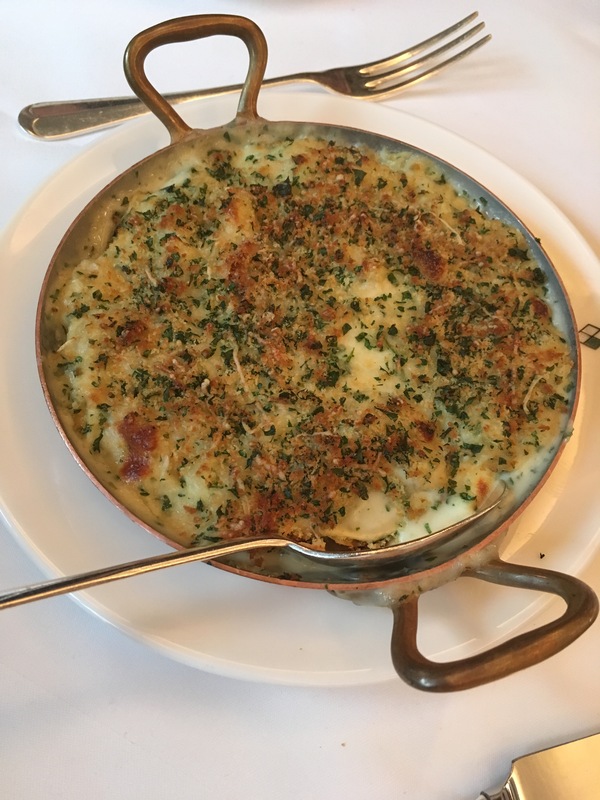 It was lovely to catch up with old friends and make some new ones, over one of the most delicious meals I have ever eaten. But first lets talk about the book. The Breakdown is good. Not good in a ‘my friend is the author so I’m obliged to say that’ good, but ‘I started it last night, couldn’t put it down and have just finished it,’ good. From the opening chapter I was gripped by the story of Cass, a woman who is driving home late one night and passes a car that has broken down. There’s a raging storm, isolated countryside and I could feel Cass’s anxiety as she tries to decide whether she should stop and help, worried she could be putting herself at risk. 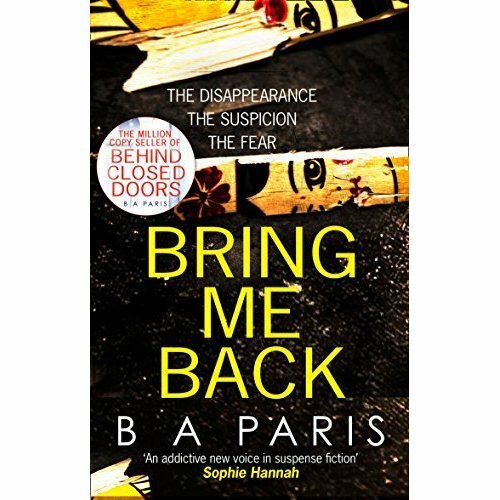 Eventually she decides to drive on, a decision that ultimately haunts her throughout the rest of the book as the driver of the broken down car is found murdered and Cass has a creeping sense of unease throughout the story that she might be next on the killer’s list. 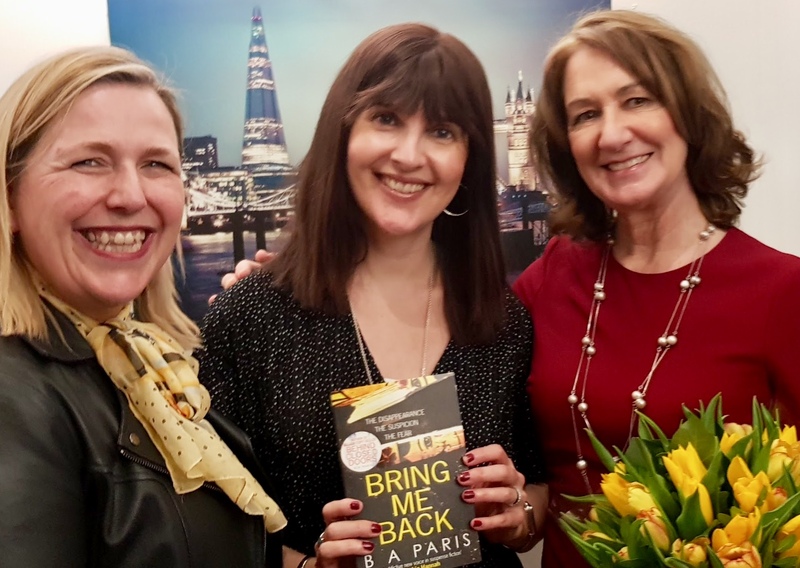 The tension builds and builds throughout the story and anyone who loved Behind Closed Doors (and with over a million sales there’s rather a lot of people who did!) should love this story too. The launch lunch itself was intimate, in a private room at The Ivy Club. 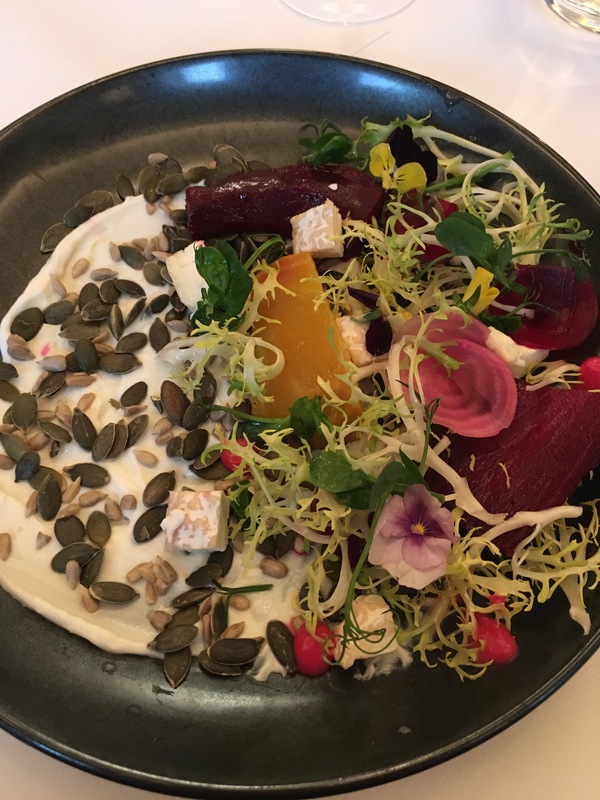 I ate mixed beetroots with whipped goat’s curd, mixed seeds and moscatel dressing, followed by macaroni cheese and I finished with a cheeseboard. We drank champagne and red and white wine and chatted about books and writing. 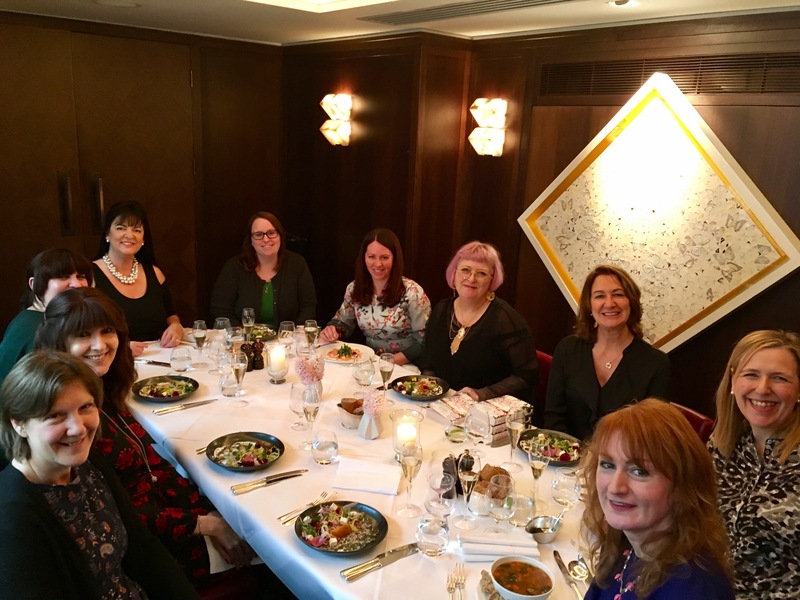 Being an author can be such a solitary existence sometimes, I really do treasure the time I get to spend with other writers. The Breakdown is the WH Smith Book of the Week which I know B.A. Paris was very excited to discover, her ambition has always been to be able to visit a W H Smith’s store and see a copy of her book. The demand is so high W H Smith’s do keep selling out! As well as in all good bookstores you can also buy The Breakdown on Amazon UK here or Amazon US here and follow B. A. Paris on Twitter here. Launch Party Invite & Giveaways!! I am delighted to invite you to the online launch party for The Gift on Facebook Sunday evening, (18/12/16). You can view and join the event here. This event is organised by the fabulous Emma the Little Bookworm and promises to be a great evening. 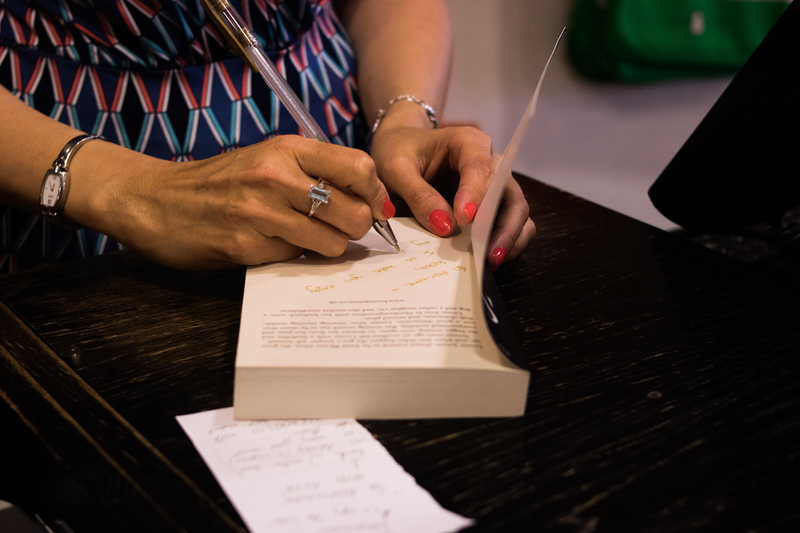 I’ll be giving away various things including copies of the book in all formats, including signed copies. 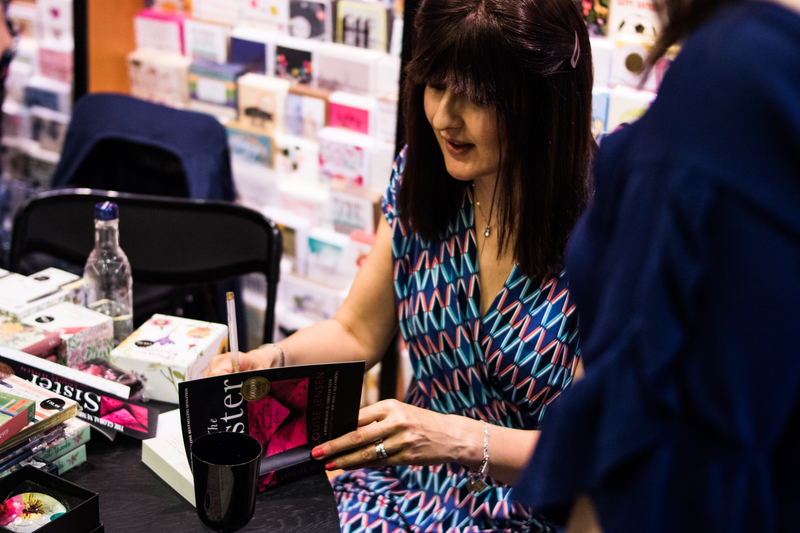 there are also other authors popping in throughout the 90 minutes with giveaways of their own, starting with the fabulously talented Louise Ross. The first competition is already running over on the event page and you can post entries at any time.